In “Hana,” Lauren Oliver’s short story companion to her Delirium trilogy, Oliver explores the feelings and actions of Lena’s best friend Hana. The story takes place during the last half of Delirium and offers an interesting look at what Hana was thinking and feeling at the time, and answers some pressing questions that the readers have upon finishing Delirium. Oliver is not just skilled at creating brilliant, multi-layered novels, but concise and affecting short stories that examine the nature of fear, jealousy, disappointment, and friendship. This short story is beautifully executed and can be read any time after reading Delirium or Pandemonium—but it will only make readers more eager for the finale of the trilogy. Which isn’t exactly a bad thing. 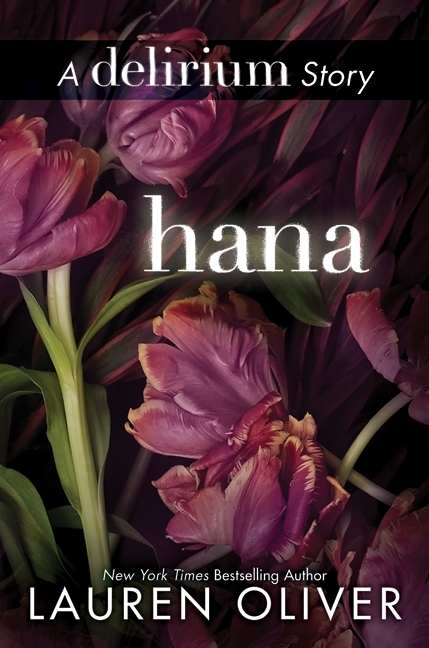 "Hana" is available as an e-book for only $2.99! Click here to read my review of Delirium. Click here to read my review of Pandemonium. The third book in the Delirium trilogy, Requiem, will be released March 5th, 2013! Short story purchased on Kindle. I like the idea of a companion book. It's a great bridge while waiting for the next book.